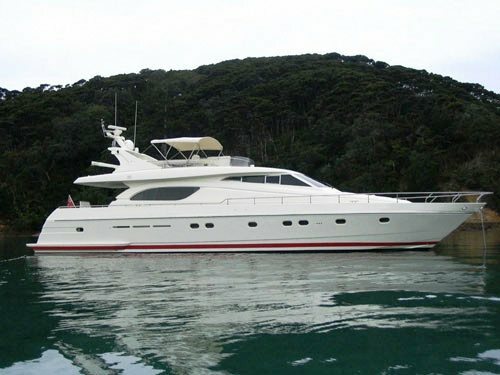 New Zealand Motor Yacht CHARIS is a 72ft Ferretti available for charter from Auckland. Her stylish lines and fast cruising speed make her the ideal motor yacht on which to explore the Hauraki Gulf and Bay of Islands. 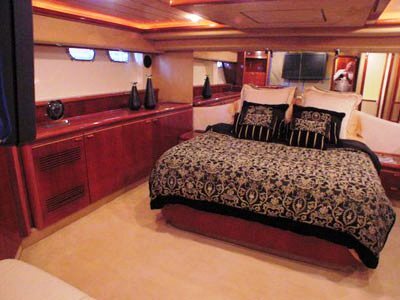 Motor Yacht CHARIS is available for day charters or extended overnight charters and is crewed by professional local crew. 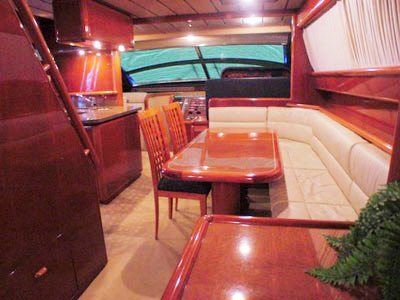 Designed in typical Ferretti fashion, she has a very functional layout including light and clean interior design and a good deck layout. 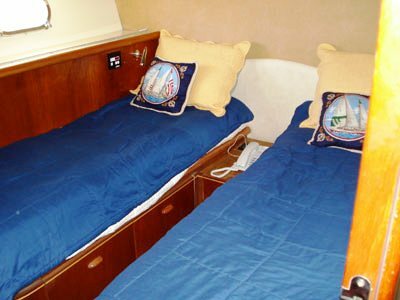 She offers a comfortable salon and informal dining inside, in addition to alfresco dining on the aft deck. The sundeck is another great area for relaxation and enjoyment with a further small dining and sunning area. 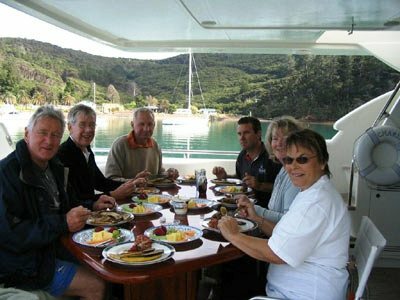 New Zealand Motor Yacht CHARIS can comfortably accommodate 6 guests for overnight charters. 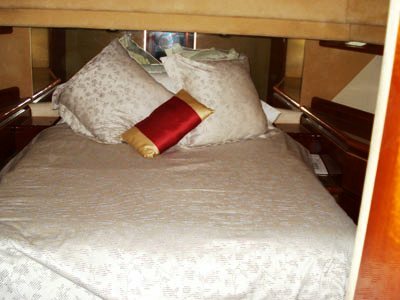 Accommoadtion includes a master suite with double bed and ensuite and a further double and twin which share a bathroom. Crew accommodation is separate. 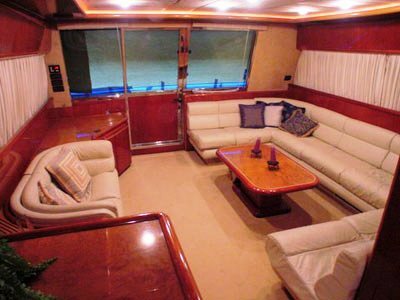 Motor Yacht CHARIS provides entertainment facilities including TV, DVD and stereo system in the salon. She is equipped with a range of communication equipment including Cellular Mobile Phone, E-mail, GPS, Internet, Internal Phone System, SSB Radios, Satellite Phone and VHF. She has a tender and fishing equipment.